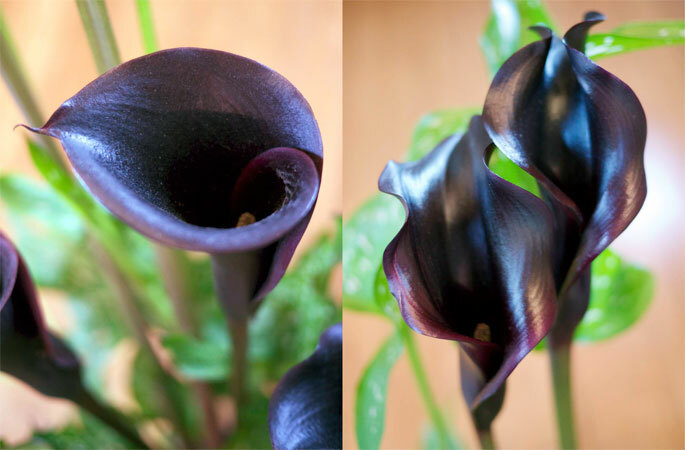 Check out these two beautiful black Calla Lily (Zantedeschia) blooms. Can you guess the names of each species? Trick question! They’re the same species. In fact, they’re on the same plant. I got this Calla Lily from Sloat a month ago. It was unlabeled, but I believe it’s Zantedeschia ‘Black Star’. Plants always make a transition when they go from a comfortable nursery to your house, but I’ve never seen a change this extreme. The three blooms that were on the plant when I bought it were perfect circles, the ones that have come up since are like wavy clamshells. 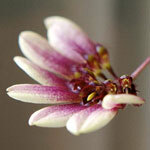 When I bought it, the leaves were small, on short stems below the blooms. The leaves that have come up since are twice the size, on stems twice as long. I haven’t been doing anything freaky with the plant, I swear. Just bright, indirect light and weekly watering. I use a little fertilizer with each watering, but not the magic potion the growth spike would imply. He’s still in the same pot, with the same soil, as when I bought him. Note, I’m not complaining. As the song says, I like big plants and I cannot lie. I’m always happy to see a plant thrive. But the stark difference in the growth before and after he came home has me stumped. Does anyone have any idea what’s going on here? Update: The likely explanation is a dwarfing chemical used by the nursery wearing off. 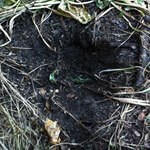 At some point in the last day or two, the clump of lilies disappeared, leaving only this hole in its place. 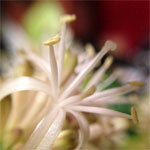 Light and warmth come to my mind but there is also another possibility. Many nurseries routinely use dwarfing chemicals such as paclobutrazol to make compact, desirable plants. When these wear off the plants get bigger and floppier. Incidentally, Christie and I were just making up some lyrics to “I like big buds and I cannot lie” last week! What are the chances!?! I like it! 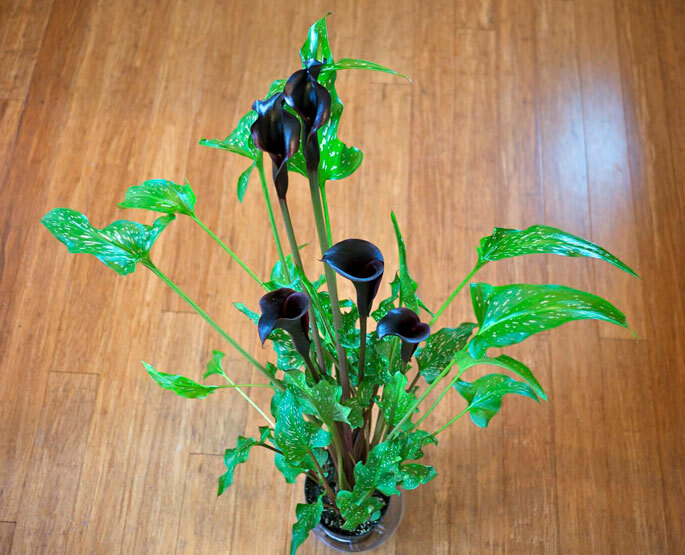 I’m a huge fan of dark flowers and callas in general. I think I actually like the frilly flowers more. If only they weren’t so lanky. Google finds several links about growth regulator use in Zantedeschias, including this one, which also talks about changing the light amount and temperature to encourage or discourage stretching. So the explanation is likely to be some combination of growth-regulator wearing off, plus different light intensity and temperature; i.e., everything that people said in the previous comments. Darn everyone beat me too it. Ditto. On the light issue though Zantedeschias love sun. I put mine in full sun pretty much all day and they love it. If the leaves are getting lanky because they are etoliated versus a growth inhibitor then that might solve it.